As the Editors’ Choice Awards top pick for Backpacker Magazine, the Gregory Baltoro 65 backpack definitely lives up to its name for outdoor adventure travel! 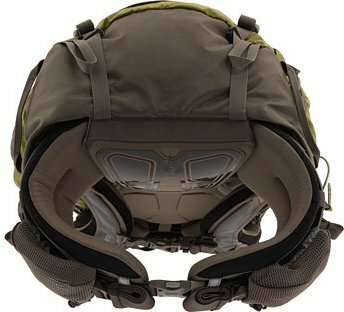 I recently purchased this pack and finally had the chance to test it out and boy did it exceed expectations. 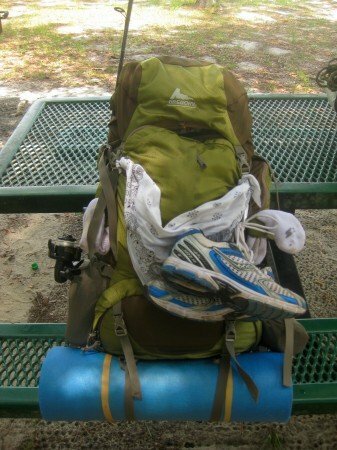 Backpacking for nearly 30 miles through the Ocala National Forest in Florida, not one problem arose. 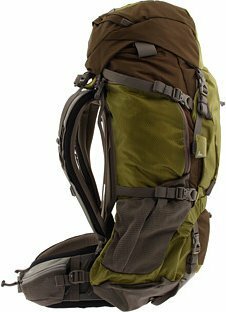 Coming in 3 different colors (Cinder Cone Red, Iron Gray, and Moss Green), 3 different sizes (63L-5lb 6 oz, 65 L-5lb 10oz, and 68L-5lb 14oz) and standing out from its competitors, here’s what I had to say. 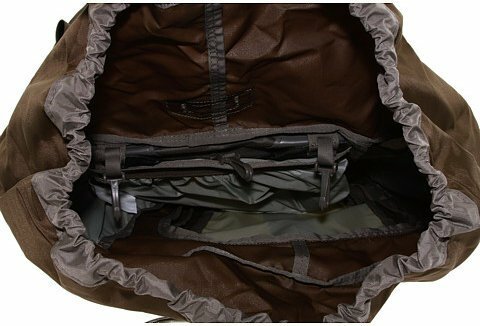 The Baltoro 65 looked “out-of-the-box new” after 120 miles in the rough backcountry terrain of the Appalachian Trail. The Baltoro 65 proved up to the test on Rocky Mountain ski tours. New is silicon on the lumbar pad to make it “stick like glue”. 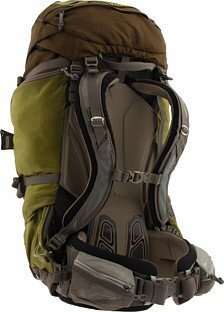 An outstanding little pack, I purchased the 65L backpack that weighed in at 5lb 10oz but felt next to nothing on my back. The ingenious 3D preserved waistbelt was a perfect fit and was comfortable on my hips and put absolutely no stress on my back like my previous pack had. Although it is not waterproof, it repels water quite nicely in a light rain and I went as far as floating it down the river on a makeshift raft. The various external pockets make for easy organization and Gregory went as far as placing a divider inside the pack which made it extremely nice to keep all of my gear organized and limited the amount of gear from “moving around” while hiking. I detached the top of the bag which made for an easy little fanny pack (not that I would wear that in public) and also made for a great bear bag to place my food in as I hung it in the tree away from camp. The only complaint I had was the small bruises that were left on my side from wearing it in but like any other brand new pack, that’s going to happen. After a few very sore days, I barely noticed the extra 30lbs on my back as I jumped from rock to rock and made my way through the backcountry and swamp here in Florida. The handiest features that I found most useful was the water bottle holder on the right side of the pack (when wearing it) and the zipper pockets on each waistbelt strap. That made for easy storage of my multi-tool, camera, and water bottle (the things I use most when hiking and backpacking). 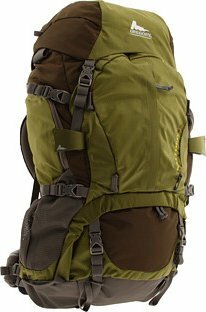 My test on the Gregory Baltoro 65 left me with an understanding that this is a highly sturdy backpack that was made to accommodate your body, gear, and hiking plans. I would highly recommend this pack to anyone who is looking for that one “pack of a lifetime” – especially if you’re taking an adventure around the world!